Julia Baker '18 (left) and Niamh O'Donovan '21 navigate mother-daughter conflict in rehearsals for Sophie Treadwell's Machinal. Photo via Matt Beaune. Four employees sit behind desks made of stacked boxes, the ancient phones and typewriters balanced atop them proudly chanting the mechanical music of an early-century business day. A fifth workstation, situated between the other four, sits empty. In quick succession, the present employees reel off statistics, answer calls from sometimes-lovers, shift through paperwork, and transcribe memos, all the while chattering amongst themselves. One-liners, office demands, shameless flirting – and always, always, some invisible her. She’s late. Inefficient. Got something to do with the boss, something big, something questionable. When she finally arrives, though, the Young Woman just sits down at her black-box desk, her typewriter the singular static object in an environment buzzing with urgency. As she haltingly attempts to account for her tardiness, explaining that she just had to get out of the subway, that there were too many “bodies pressing,” a sound like thunder in the distance rises in tandem with her body. She stands begging, trying to justify herself until the rumbling reaches a fever pitch, then – silence. “Take a taxi!” one of the workers shouts. The others laugh, and the Young Woman allows herself a wavering smile as she sinks back into her chair, panic momentarily contained. This is Machinal (pronounced either MAH-key-nahl or MAH-shee-nahl), Muhlenberg’s first mainstage of the 2018/2019 season. Written in 1928 by reporter, playwright and feminist Sophie Treadwell and directed by Baker Artist-In-Residence Lou Jacob, Machinal will run in Baker Theatre from Sept. 27 to 30. 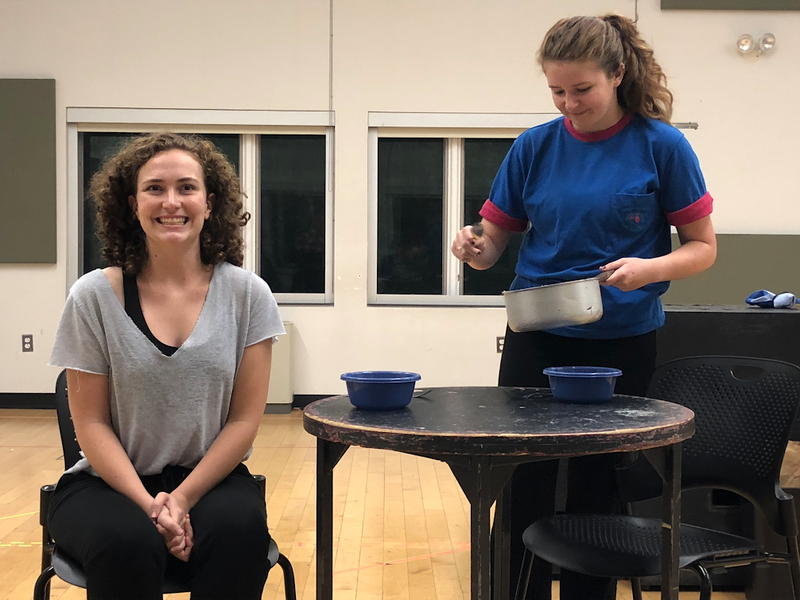 Due to its early placement in the school year, the play was cast in the spring and has been in rehearsals since several weeks before classes began. 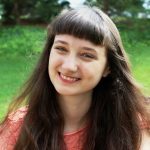 Julia Baker ’19, who brings to life the Young Woman, describes the rehearsal process as challenging, but worthwhile. Jacob’s driving passion for the subject matter becomes immediately tangible as the world of the play is acted into reality. Robert Stinner ’20, who plays Man 4, states that Jacob’s unique stamp on the piece is what truly makes it a must-see. This conclusion is echoed by Sylvia Fisher ’21, who plays Woman 6 in the production. These experiences range from workplace shenanigans to mother-daughter conflict to sexual assault, and that’s only within the first three vignettes – the play as a whole travels to some bleak places, both literally and figuratively, within the life of the Young Woman. Baker’s character speaks either in short, timid sentences or a vortex of repeating thoughts, stream-of-consciousness style. Even when everything around her moves slowly, her words sometimes seem to travel at the speed of light, tripping over themselves and scrambling back around to some semblance of a beginning, connecting but breaking apart just short of sense. It’s hard to watch, but impossible to look away from: the Young Woman’s interactions with her fellow employees, her mother and her male boss all teeter on the edge of violence, and Baker’s mastery of this fraught character is impressive to behold. The Young Woman is constantly prompted to obey, prompted to speak when told, prompted to perform tasks she can’t bear the thought of. Her pain is etched plain on her face, and we, the audience, must bear witness to this harsh reality – and its harsh consequences. Don’t miss your chance to see Machinal on Sept. 27 to 30. Be aware that this production is for mature audiences. Brooke is a junior English and Media & Communications double major with a penchant for Harry Potter, all things Hawkeye and pancakes. As a Writing Tutor, Orientation Leader and pubilicty manager of the Girls Next Door, Muhlenberg's only all-woman a capella group, she treasures her position as co-editor of the Arts and Culture section.